Imogen's Typewriter. 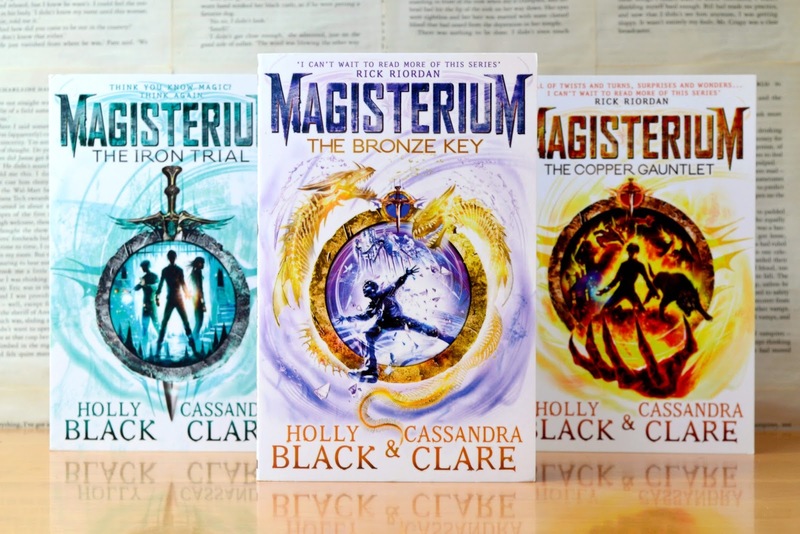 : Book Review: Magisterium: The Bronze Key by Holly Black & Cassandra Clare! Book Review: Magisterium: The Bronze Key by Holly Black & Cassandra Clare! This review might have slight spoilers for The Iron Trial and The Copper Gauntlet! Oh boy. This book just tugged at my gosh darn heartstrings with its twists and turns. Just when you think everything is fine- it's not! The plot of this series is brilliantly unfolding in each book, slowly revealing its depths while you get attached to the characters, discover the world, and find yourself attached. It takes a lot for me to tear-up as I read, I don't really show my emotion in that way, but you can bet I was rubbing at my eyes. Jasper and Callums relationship remains a treat. I think every protagonist should have a person who calls them on their nonsense. It would prevent so many plot lines where you just can't believe what a character is doing. Their dialogue reads exactly like a conversation between two not-quite-friends teens should sound. Every friendship feels believable, and the first romance of the series is so teenage-awkward that I related with all of my own cringe-filled memories. I haven't mentioned this in my past two reviews but I do think it's important to note that this series is not only diverse, but has a main character with a physical disability. And the magic doesn't really help. Yeah, he can float rather than climb down steep stairs but that also requires physical strength and mental energy in a way that interacting with an able-bodied world can be like. Personally, I really appreciate that and really hope that it continues to be represented in the future books. I am really hoping for some of the background female characters to take a main role in the coming books since adding Jasper to the circle of trust does make a big male majority. It does look like it's going in that direction as far as I can tell from the ending though, so we'll see. That ending though- oh the ending. Unlike the previous books, this did end with a little bit of a cliffhanger and after putting the book down I was immediately looking into release dates. Plus pulling out books to unhaul, so I know what happens next as soon as humanly possible without breaking my 10-out-1-in book buying ban. My pre-order arrived today and you can bet I started it as soon as I pulled it out of the box. This series is just incredible and represents what middle grade/ YA books should be like. I'm even debating buying the U.S. covers since they come in hardcover and I like to have my favourites in hardcover. Have you read this book? If not- why not? !